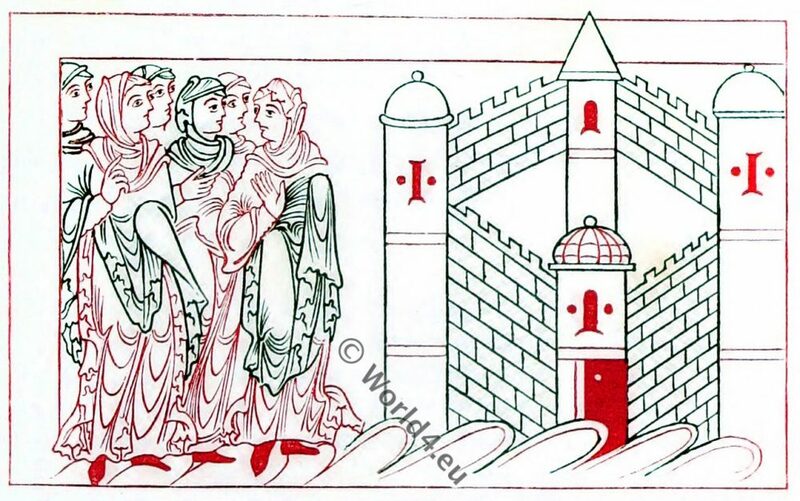 Home » Illustrations of Prudentius. 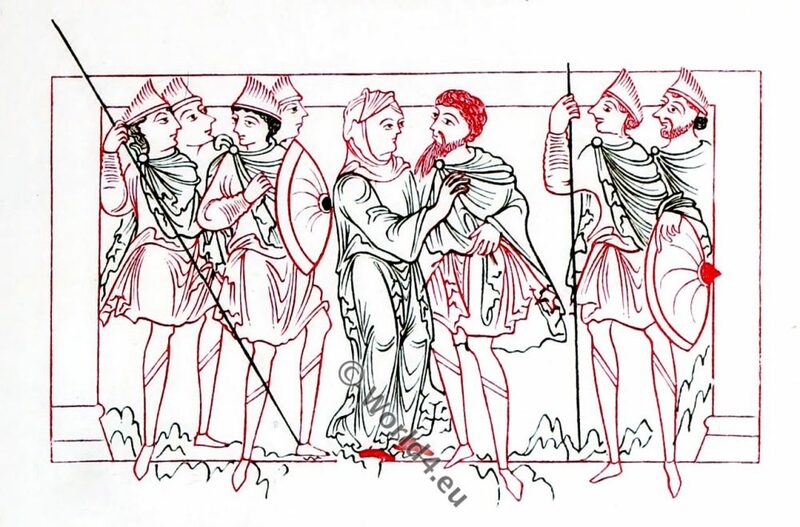 Anglo-Saxon civil and military costume. Prudentius is the most important Christian poet of late antiquity, but his works can be dated only very imprecisely. His poetry is influenced by early Christian writers such as Tertullian and Ambrosius of Milan, as well as by the Bible and the martyrs. His most influential work, however, is the Psychomachia (“Battle of Souls”), the first allegorical poem of Latin literature; It was an inspiration and a source for medieval allegories. 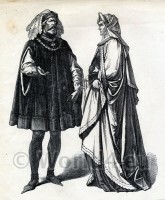 Prudentius was very popular in the Middle Ages. There are more than 300 manuscripts, the oldest one from the 6th century. Initial- S, I, fragment of a Latin Bible, Charles le Chauve. SIMILARLY illuminated manuscripts of the Psychomachia of Prudentius occur in several collections. 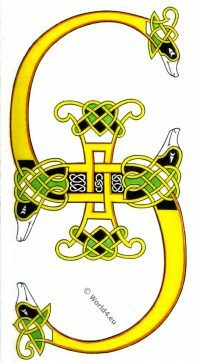 The British Museum possesses one: another is found in the library of archbishop Tenison, in the parish of St. Martin in the Fields; and we believe that there is one in each of the Universities. They are all of about the same date. 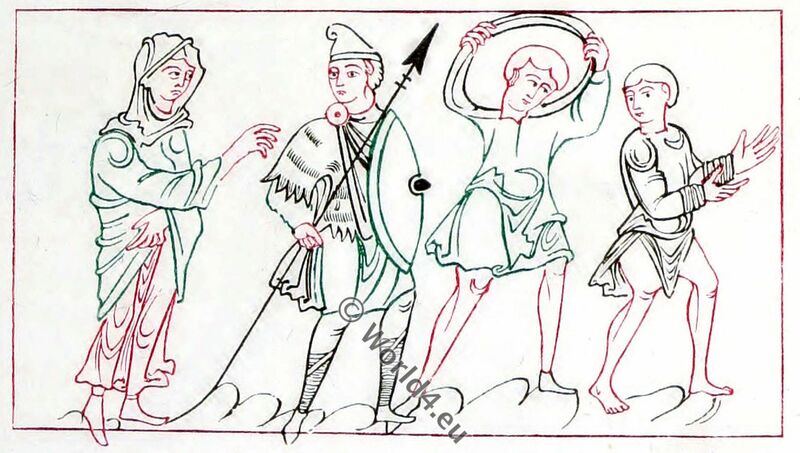 The accompanying plate represents three of the drawings which illustrate the copy in the British Museum (MS. Cotton. Cleopat. C. VIII. 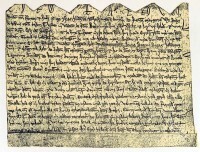 ), which appears to be a manuscript of about the ninth century. They are good illustrations of the civil and military costume of that period. 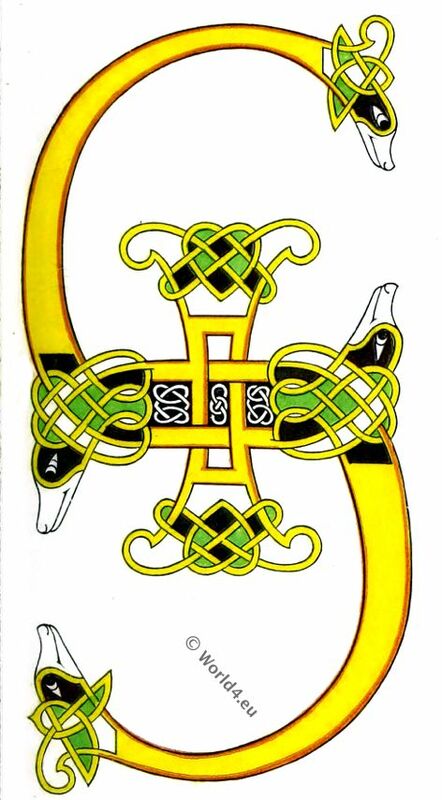 It may be observed that, as far as we can judge by the illuminations which have come down to us, the dress of our ancestors did not vary much during the Anglo-Saxon period. The Virtues having obtained the victory. Our initial (or rather our two initials, for it represents two letters, S and I, a common occurrence in the earlier manuscripts) is taken from a fragment of a Latin Bible, preserved with some other fragments in the British Museum. 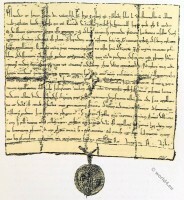 The manuscript, from which it was stolen at the beginning of the last century, is in the Royal Library at Paris, and was written for Charles le Chauve. It is to be lamented that the fragment, which is in the Harleian Library, has not been restored to the manuscript. 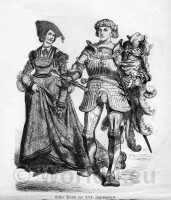 German Knight in armor and Princess, 16th century clothing. 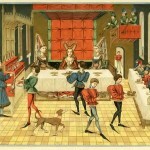 Medieval court etiquette. The lady of the castle.